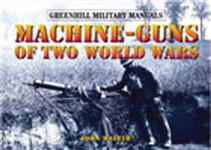 Featuring full-colour artwork and contemporary and close-up photographs, this book investigates the origins, development, combat use, and lasting influence of the formidable Gatling gun. Offers an insight into the iconic Mauser family of German bolt-action rifles. Drawing on accounts of the weapons in combat and primary sources regarding their mechanical performance, this volume charts the Mauser's origins, combat record and lasting influence. Featuring specially commissioned full-colour artwork and an array of revealing photographs of grenades in use and in close-up, this book explores and assesses the origins, development, combat use, and lasting legacy of the formidable military hand grenade. This is a history of hard, accurate throwing and the manipulation of fire as unique human capabilities. The renaissance of the venerable Colt 1911 in .45 ACP has caused many cops to sit up and take notice. Here is the only book you will ever need to teach you how to select, modify, employ and maintain your Colt.